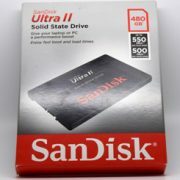 SanDisk Ultra II was the SSD drive I’ve decided to buy (purchase link) based on Amazon’s top selling SSD drives list. It came third on the list in the top Internal Solid State Drives offering SATA 3 connectivity. The 1800+ favorable user reviews helped me to seal the deal. I needed that SSD drive for my Lenovo cheap laptop. I was getting tired of the long waiting time for Windows to load and for my applications to work. Why invest in a Solid State Drive? To save yourself from having a nervous breakdown waiting for applications to load up. You gain more time to spend in doing better things. No more waiting for long minutes till the operating system loads. On average, SSDs, right out of the box, will give you up to 28 times better performance than a typical hard disk drive, and up to 15% longer laptop battery life. Add to all of that the zero noise they emit and their lightweight. Traditional mechanical hard drives are going down the same road as floppy drives did. They will become extinct in the very near future. Is the SanDisk Ultra II 480 MB worth buying? I’m one happy owner of the SanDisk Ultra II 480 MB SSD! 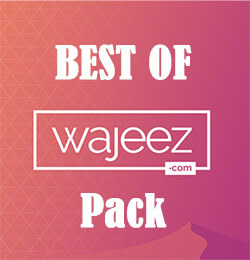 It relies on nCache 2.0 technology that stores more data at a cheaper cost. The SanDisk Ultra II uses TLC-based NAND chips that allows for greater storage capacities for less money. It allows for storing 3 bits per cell (compared to 2, as in traditional NAND). During the time writing those lines, the SanDisk Ultra II 480 MB SSD retailed for $127 on Amazon (link). The Ultra II is also available at capacities ranging from 120GB and up till 960GB, in 2.5″ SATA and mSATA form factors. SanDisk states that the Ultra II has an average mean time between failures (MTBF) of 1.75 million hours. The drive comes with a three-year warranty from SanDisk. Three year-warranty is the main drawback of the Ultra II. Typically, today’s high-end drives comes with five years or more of warranty. The SanDisk Extreme Pro SSD offers 10 years of warranty! That starts to explain the economical price tag on this drive. Inside the box, you will find the Ultra II drive, a spacer for installing it in a 9.5mm-high laptop drive bay, and a software slip. In general, SanDisk’s SSDs won’t win any beauty contest, and the Ultra II is no exception. The 7mm-thick drive comes in a black shell adorned with the red SanDisk logo. Above it comes the model name in white color. 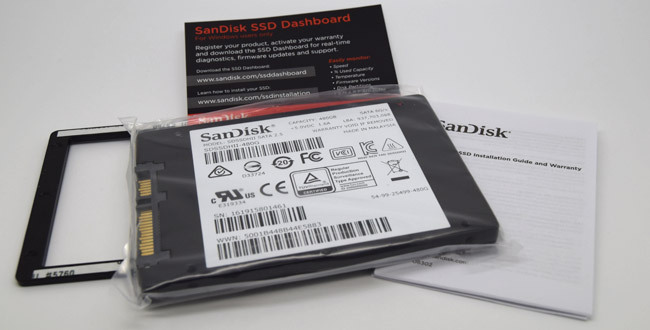 The small paper card carries download info for the SanDisk SSD Dashboard software. Basically an SSD management application, the Dashboard allows the user to monitor the drive’s performance, schedule TRIM, update its Firmware, three different erase tools, run S.M.A.R.T diagnostics and bring up drive and system details. Through the SanDisk Dashboard application, the user can download a special (aka limited) edition of cloning software Apricorn’s EZ GIG IV, anti-virus software Titanium AV Plus from Trend Micro, and theft recovery software from Absolute Softwares LoJack. The Apricorn Single Use License is simply rubbish (it even fails to support dynamic disks, and takes long hours for mirroring drives). It doesn’t break new grounds in functionality, and so I opted to use the free edition of the Makrium Reflect cloning software. I advise any SanDisk Ultra II user to download it (link) before connecting the drive. With Western Digital closing its SanDisk acquisition deal, I expect to see WD offering its Acronis True Image WD Edition software with SanDisk drives in near future. SanDisk states that its Ultra II 480GB SSD offers read/write speed of 550 MB/s / 500 MB/s through its SATA 3 interface. 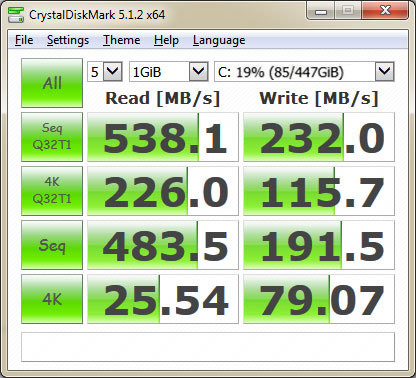 When I tested the Ultra II on my I5 Windows 7 desktop with the CrystalDiskMark benchmark, the drive produced sequential read/write scores of 538MB/s and 483MB/s and 4K read/writes of 25MB/s and 79MB/s respectively. It’s not that far off from those claimed figures and I can’t complain much. Or in layman’s terms, the Ultra II outperformed the fastest traditional hard drive. Its speed rivals that of high-end competitors and will please the normal user looking for a decently-priced SSD with more decent performance. The SanDisk Ultra II delivers fast sequential-read speeds. It outpaces other low-priced SSDs in the market right now. The bottom line is very simple, if you can afford spending $155 for a SSD drive, by all means go ahead and buy the #1 bestseller Samsung 850 EVO – 500GB. If not, rest assured that the black SanDisk Ultra II SSD will please you. For its price, the SanDisk Ultra II delivers. I have bought the SanDisk Ultra II SSD myself from Amazon. It was not a gift or a review unit. I bought it as a replacement for my laptop hard drive. For my Desktop / Gaming PC, I bought the Samsung 850 EVO 500GB.